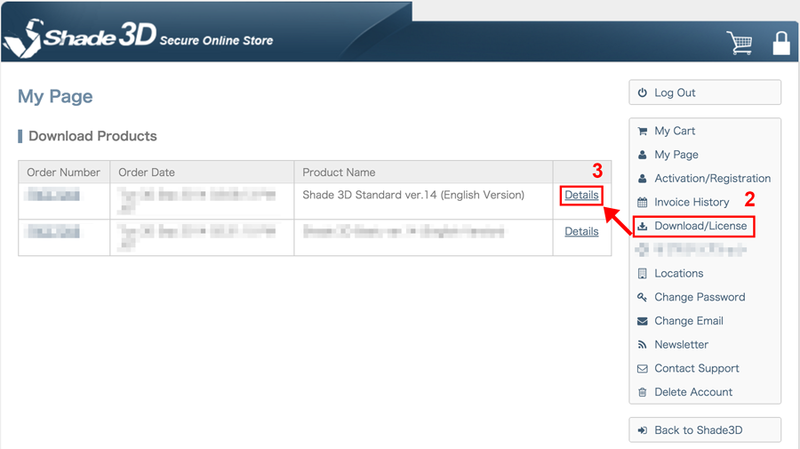 In order to confirm your serial number, you will need the email address and password you entered during product registration at the Shade3D Online Store. Please follow the steps below to confirm your serial number. 1- Go to the Shade3D Online Store My Page, and click "Returning Customers." Log in using the email address and password you registered with. After product registration at the Shade3D Online Store (done when activating your software or requesting a serial number), you should have received an email from us at the email address you registered with. This email has your serial number and other important information in it. The subject line of the email should read as follows. If you have forgotten your password, click the Forgotten Password link and follow the instructions to reset it. 2- Click the "Product Downloads" button. 3- From the list of products, click the "Details" button to the right of the product whose serial number you wish to confirm. 4- The "Product Downloads - Details" page opens. 5- Your product serial number will be listed below your order number and the product name. * On the "Product Downloads - Details" page you will also find a list of the latest updated versions of your purchased software. * To download the latest version of the software, click the adjacent Download button. Be sure to select the appropriate installation for your operating system. * Follow the instructions in the downloaded installer program to update the software. 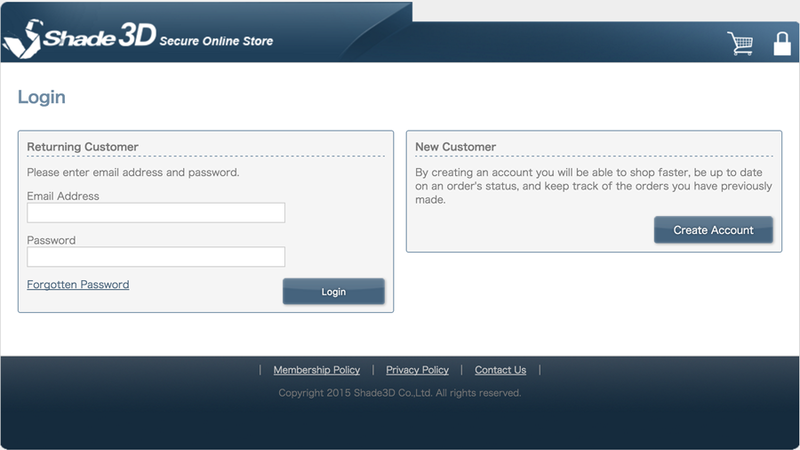 * In the case of a software subscription, login with your email address and password from the Subscriptions Login page.